Rub these burgers with a Louisiana-inspired spice rub for flavor, then tops with ham, extra cheese, a spicy mayo and crunchy potato chips. Chicken broth, mushroom, and red wine is what makes this burger from ordinary to extraordinary. 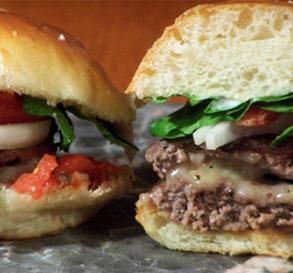 Serve it with Kaiser Rolls and be the envy of the neighborhood. 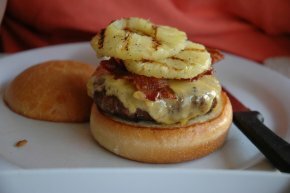 A Pulp Fiction–inspired pineapple cheeseburger. 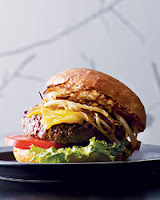 These tangy burgers with pineapple rings, teriyaki sauce, and a spicy cilantro mayo are clearly Hawaiian-inspired, but that’s not where they get their name. 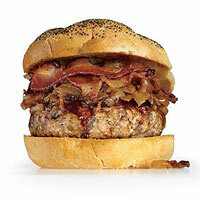 Instead “The Big Kahuna” is what you’ll be known as after whipping up a batch of these for your guests. 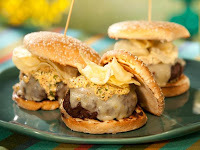 Here's a great twist to a one of the south's favorite dip, Pimento cheese. 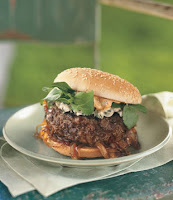 This great recipe comes from "Mississippi Kitchen". 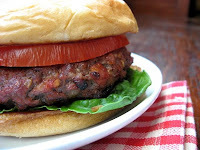 Instead of using the pimento cheese as a dip, stuff burgers with it. 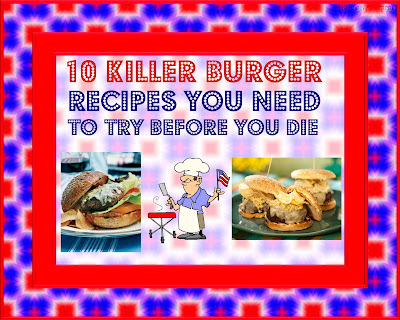 Once cooked your burgers will burst open and ooze cheesy white lava. Yum! 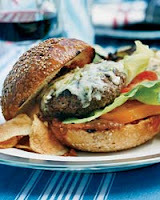 If you love chile con queso, sink your teeth into this cheesy gooey burger for a real taste explosion. Have a napkin and some tortilla chips ready to catch what your mouth misses because will want to eat every bite. 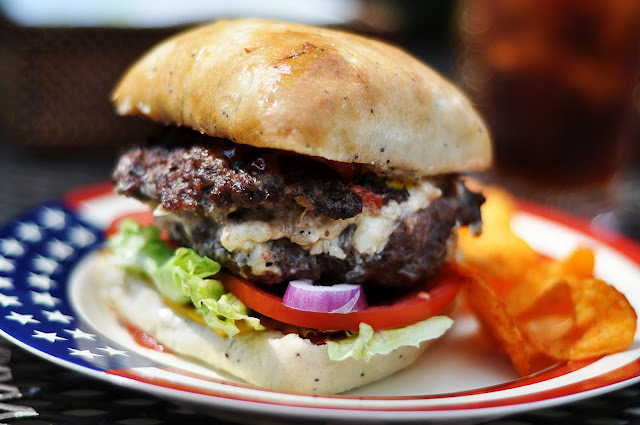 This is a version of a Texas classic. This burger is moist, flavorful and stays together well when grilling. The secret is in the chopped bacon that you incorporate in the patty. 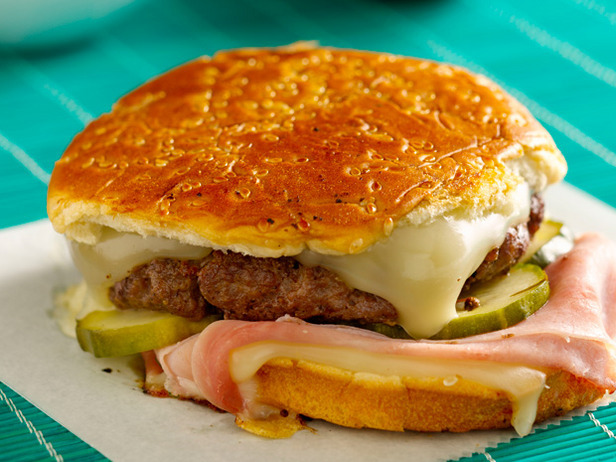 A traditional Cuban sandwich is the inspiration for this burger. Turning this Cuban specialty into an American one isn't hard — just replace the roasted pork with a good old hamburger.